Teenagers, parents, and families participate in a number of counseling programs to address a variety of issues and difficult questions in life including divorce, job loss, death, single parent/teen conflict, stress, depression, addiction, blended/step-family problems, LGBTQ issues, cultural issues, caregiver problems, anger problems, conflict resolution, and remarriage. Every teenager and family is unique in their own way and cannot be treated with a ‘one size fits all’ fix. There are times when therapeutic boarding schools are the solution because of the complex combination of support and therapy given to troubled and struggling teenagers. Is My Teen’s Behavior “Normal”? Real signs of trouble include consistent bad behavior, substance abuse, binge drinking, being defiant, committing acts of violence, and skipping school. While some cases are simply just normal teen rebellion, many teenagers are well beyond a phase and need help to get to the root of the problem. If you are having trouble figuring out how to deal with your teenager’s issues, consider speaking with a professional at a therapeutic boarding school for help. Is Your Teen Having a Problem Respecting Authority? Does your teenager simply roll his eyes or stomp off when they are being defiant? Or is it more extreme and your teenager is having trouble controlling his or her anger towards family members? 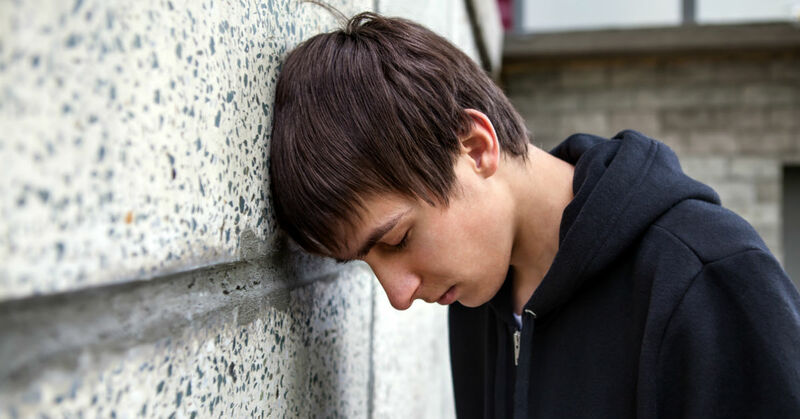 If your teen is being overly defiant, aggressive, or violent than it’s definitely not a phase and they require professional help to ensure not only the safety and mental well-being of your teenager, but of the people around them. Around 6 million teens can be labeled with intermittent explosive disorder due to their consistent pattern of unwarranted anger and violence that has nothing to do with alcohol, drugs, or a medical condition. Harvard Health Care Policy professor Ronald Kessler, lead researcher, says his findings show the problem is huge and the need to intervene is urgent. Does Your Teen Handle Conflict Inappropriately? If your teenager is flying off the handle in rage attacks or laying his hands on family members in order to try and solve a conflict, then it’s time to get help before someone is hurt. A therapeutic boarding school offers the tools, resources, and counseling needed to help your teenager learn why he is so angry and what he can do to not only rectify it, but to manage it in the future. They will learn how to handle conflict in alternative ways in order to reach positive outcomes. Is Your Teen Having Trouble in Social Situations? Did your teenager stop hanging out with their friends? Sometimes, it’s more than just a case of moping around. Depression, self-esteem, anxiety disorders, thyroid disease, and other problems may be the real cause of your teenager disengaging from their social life and the outside world. Always consult a physician first to rule out medical causes. In many of these situations, the combined therapeutic approach at a boarding school offers teenagers the social setting they are comfortable in where they grow, are supported in studies, and receive treatment all in one. Finding the appropriate therapy for your teenager will ensure the most benefit to them. Sometimes individual therapy or family counseling is simply not enough. In these cases, parents turn to therapeutic boarding schools to help their teenagers who are facing difficult challenges in school and home life.